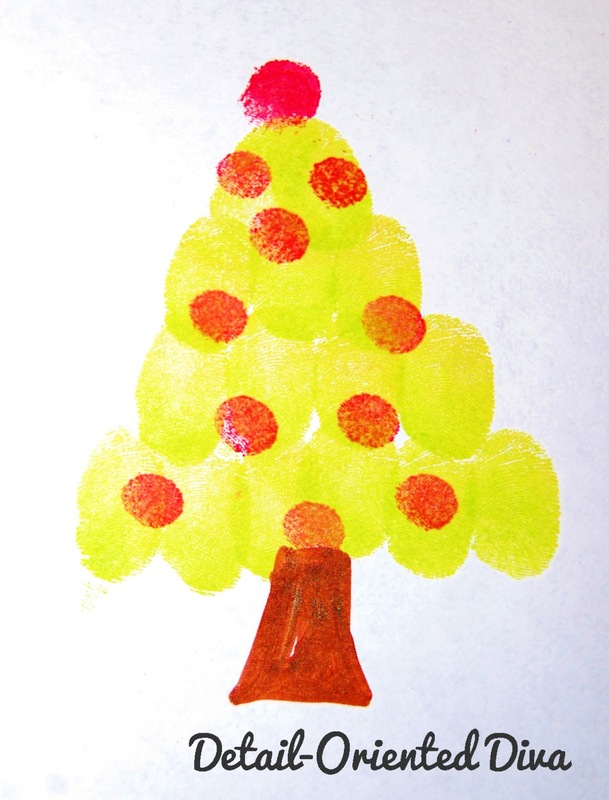 I am sure that most of you have your trees up by now, but have you made your funprint tree yet? This little tree is a quick and adorable craft to do with the kiddos. Dress it up with even more color by adding different colored ornaments (fingerprints).